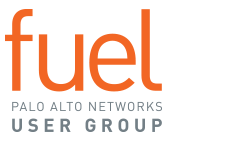 Join Fuel at Ignite '19 USA, June 3-6 in Austin, Texas and look forward to exclusive Fuel membership benefits to help you get the most out of your time at the conference. If you’re looking for the latest thought leadership, technology, and know-how in cloud security, network security or endpoint security, Ignite '19 USA is the place to find it all. *Fuel members must be logged in to view the Ignite 2019 discount code below. At Fuel meetings, you share your expertise and experience with your local peers. Did you know you can also do that as a speaker at Ignite—and get a free conference ticket in the process? If you can talk about how Palo Alto Networks technology, products, services and/or threat research has improved your business, along with your security posture, they’d love to hear it. The call for papers is now open. The submission deadline has been extended to March 21, 2019. Sign up here.